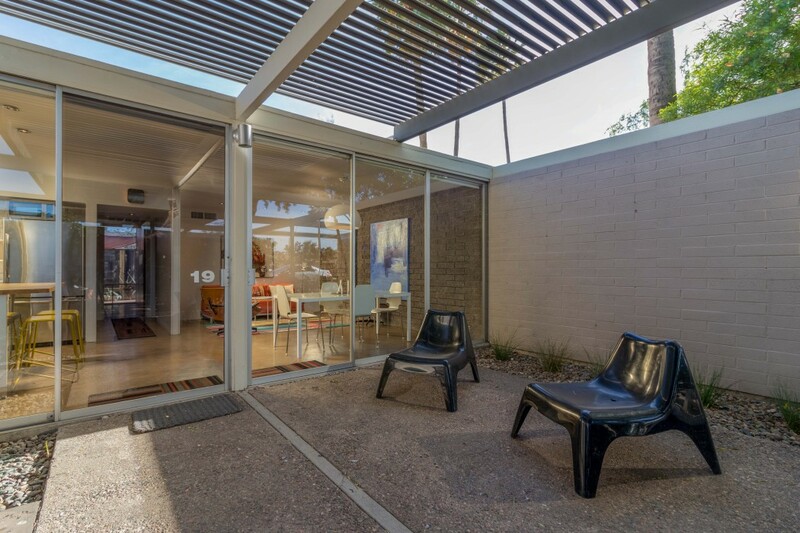 The Boardwalk: the pinnacle of Mid-Century Modern design in Phoenix. The secret is out and this is the place to be! Exemplary unfurnished Boardwalk home, lovingly updated by the recent owner featuring indoor, en-suite laundry rarely seen at Boardwalk. 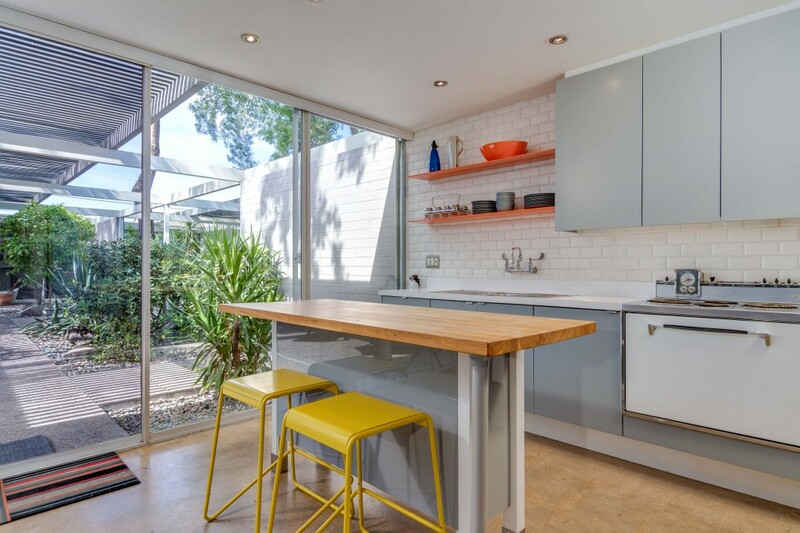 Original Beadle cabinets have been restored in the updated kitchen, which includes the original Beadle spec’d oven/cooktop. Finished concrete floors coupled with signature floor-to-ceiling glass walls give one the sense of living outdoors, while being sheltered from the heat, in this north-facing home. 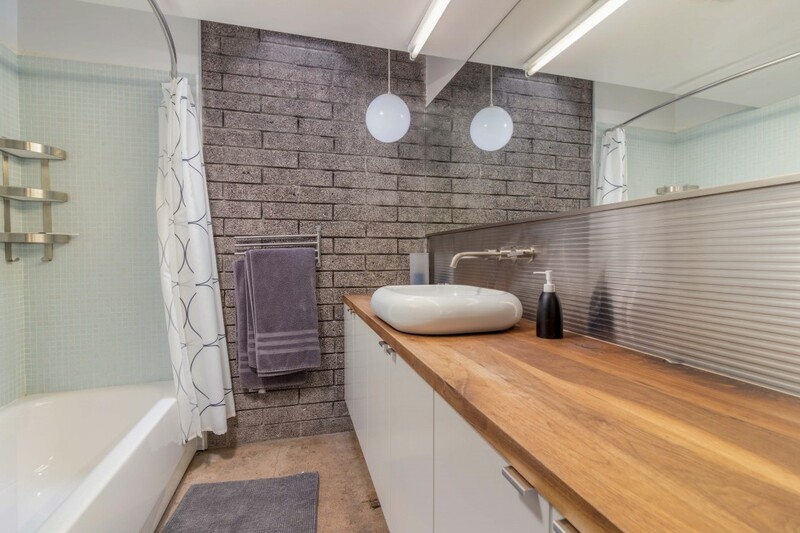 The bath was refreshed with warm wood counters, new sink, and gorgeous mosaic tile bath surround. 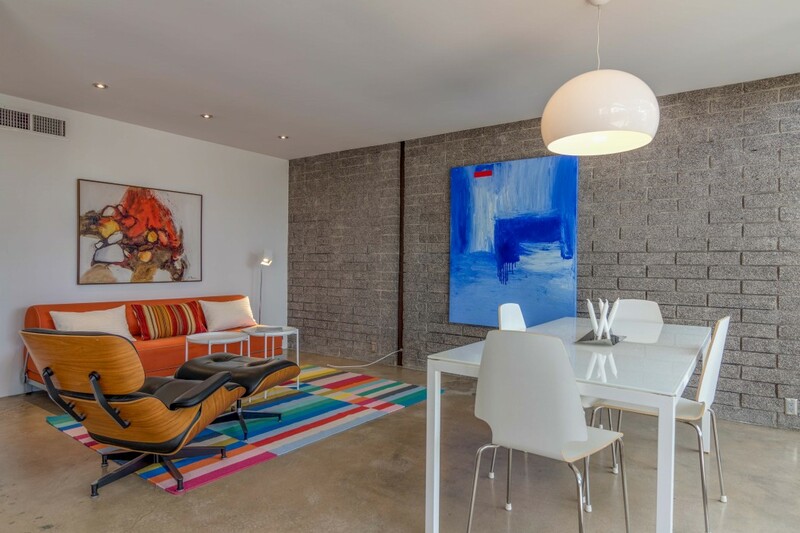 You’ll welcome a deep walk in closet in one bedroom as well as access to a private back patio. Updated electrical panel as well as a tankless water heater bring the condition to top-notch: superb and move-in ready. Hurry on this one! No pets, please.